Americans have had a long, complicated relationship with the pesticide DDT, or dichloro-diphenyl-trichloroethane, if you want to get fancy. First we loved it, then we hated it, then we realized it might not be as bad as we thought. But we’ll never restore it to its former glory. And couldn’t you say the same about America’s once-favorite pop star? 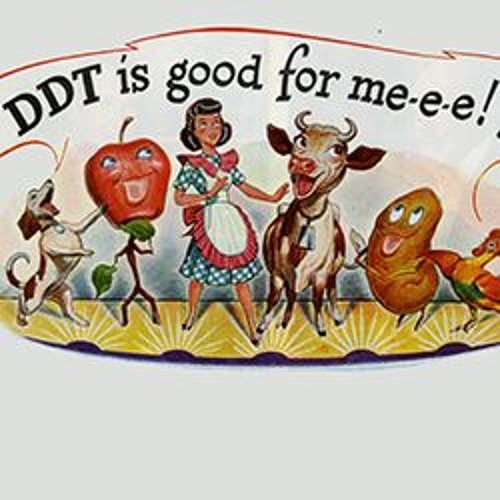 We had a hunch that the usual narrative about DDT’s rise and fall left a few things out, so we talked to historian and CHF fellow Elena Conis. She has been discovering little-known pieces of this story one dusty letter at a time. But first our associate producer Rigoberto Hernandez checks out some of CHF’s own DDT cans—that’s right, we have a DDT collection—and talks to the retired exterminator who donated them.